Memorial Day is here. It’s the unofficial start of summer and a day of firsts for the season – first sunburn, first charred burgers on the grill, first hangover and first opportunity to put on a swimsuit and show off our caloric intake over the winter. The original intent of Memorial Day, previously called Decoration Day, was to honor soldiers who died in service by marking their graves with wreaths and flags. It started after the Uncivil War and continued to grow into a major holiday and ultimately became one of our cherished three-day weekends. Like most other American holidays, it amazingly always comes on a Monday, which of course gives us the following day at work to rest and recuperate. When I was a kid we would get a half day off from school if we agreed to march in the Memorial Day parade, and we were expected to wear white shirts and navy blue trousers (skirts for the girls, it was a pre-feminist time). Parades were huge and involved every known group and organization in town, sometimes leaving only a dozen or so bystanders left over to watch. After the parade our entire family would meet at our house, aunts, uncles and cousins, because we were the first to have an actual poured concrete patio that was easy to hose down the next day. I won’t discuss why it had to be hosed down. All across the country, Memorial Day weather is somewhat of a crap shoot. In the south, Memorial Day comes about halfway through their summer with average temperatures of a few hundred degrees, so you need skin lotion with an SPF of 300 or better. In Texas and Arizona they don’t even need to use charcoal in the grill. In northern states like Wisconsin and Minnesota, Memorial Day is welcomed as the first holiday of the year that doesn’t require shoveling snow to get to the grill. In the New York area the weather is often just overcast and humid, while southern California can expect sunny with earthquakes and Midwestern states often have cloudy with tornadoes. Memorial Day also brings out the best qualities of family members. I remember Aunt Edna who, after having several rounds of refreshments, would ask us kids if we wanted hot dogs or hamburgers. When we replied with our choices we would be told, “well you’ll take what you get and you’ll like it!” She would then walk off muttering things about children we couldn’t quite understand at the time. It was rumored she once had kids of her own but had sold them to the gypsies. As a side note, gypsies stopped buying children after getting stuck with a bunch of teenagers one time. My cousin Billy always showed up on holidays, even Thanksgiving, with enough fireworks to blow up half the neighborhood. His dad, my uncle Jerry, insisted on being the one to handle the matches but only after testing the beer keg numerous times to ensure it was “fresh beer.” That would then trigger Aunt Sarah into a screaming panic to stop him, and while the other adults struggled with Jerry we would steal off to play with all the fireworks Billy had kept secret from his dad. 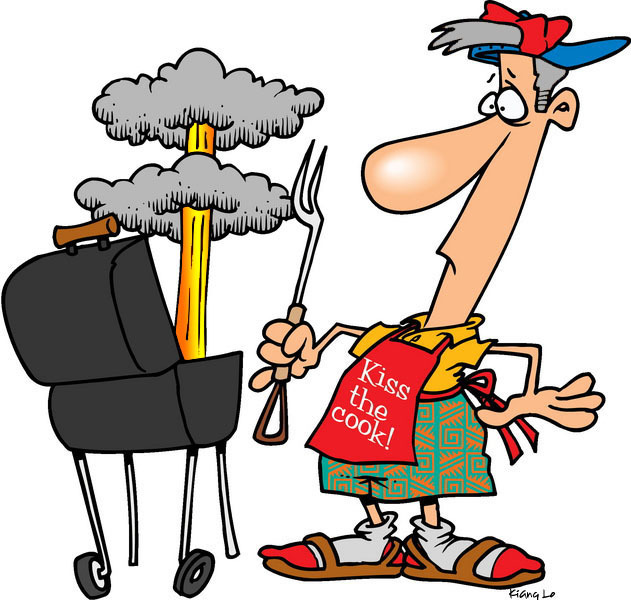 Our best ever Memorial Day was the year Billy sneaked fireworks into the grill and the fire department had to come out. We were never very popular with the neighbors after that. After thinking back to Memorial Days past, and looking around at modern Memorial Day celebrations, I decided this year to book a flight to London – for a few days of peace and quiet watching a cricket game, napping and having a pint. I think I finally get what that game is all about. This entry was posted on May 27, 2013, 5:55 am and is filed under New Stuff, The Backstory. You can follow any responses to this entry through RSS 2.0. You can leave a response, or trackback from your own site.